Posted on 23, December 2015 by EuropaWire PR Editors | This entry was posted in Media, Sports, United Kingdom and tagged Gary Hughes, Sir Alf Ramsey, Sky Sports, World Cup in 1966. Bookmark the permalink. LONDON, 23-12-2015 — /EuropaWire/ — Sky Sports is giving England’s 1966 World Cup victory the full Monday Night Football treatment as it marks 50 years since Sir Alf Ramsey’s side lifted the World Cup. Using statistical data from Opta, the SkyPad touchscreen, and virtual reality from EA Sports, Jamie Carragher and Ed Chamberlin will show the impact of the likes of Bobby Moore, Geoff Hurst and Alan Ball on the match. They will also use modern technology to conclusively answer the question about whether Hurst’s second goal crossed the line. A special double bill to begin a year of celebration will also feature the latest Sky Sports Originals documentary, a 90-minute programme looking back on the incredible achievement called ‘The Boys of ‘66’. 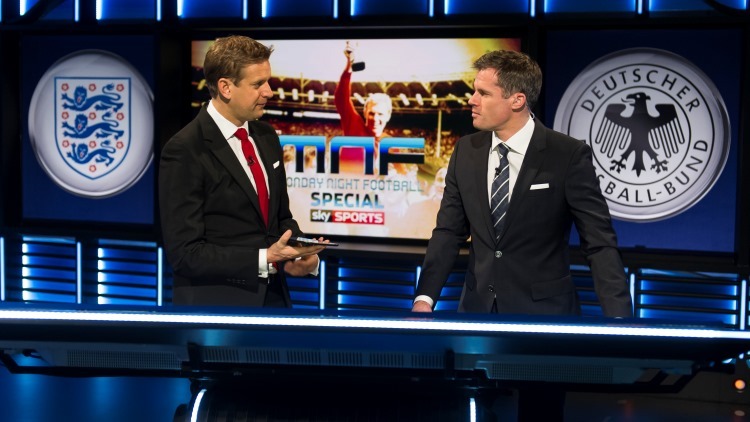 On Monday 4 January, Ed and Jamie will use the wealth of Sky Sports technology in the Monday Night Football studio to analyse the dramatic World Cup final between England and West Germany that ended with Bobby Moore lifting the Jules Rimet trophy. ‘The Boys of ‘66’ is the biggest project so far from the Sky Sports Originals documentary unit. Presented and narrated by Sky Sports commentator Martin Tyler it tells the whole story of the tournament within the context of the era it came to define. The programme talks to the key players including hat-trick hero Sir Geoff Hurst, Gordon Banks and Roger Hunt as well as a rare interview with the superstar who missed out, Jimmy Greaves. The two-year project also features contributions from fans who were at the final, cultural figures of the time, as well as current England manager Roy Hodgson and former captain David Beckham. ‘The Boys of ‘66’ will be broadcast on Sky Sports 1 from 7pm on Monday 4 January 2016, with the Monday Night Football special following immediately after at 8.30pm. Both programmes will be available On Demand until 2017.